A vision about Land Art. 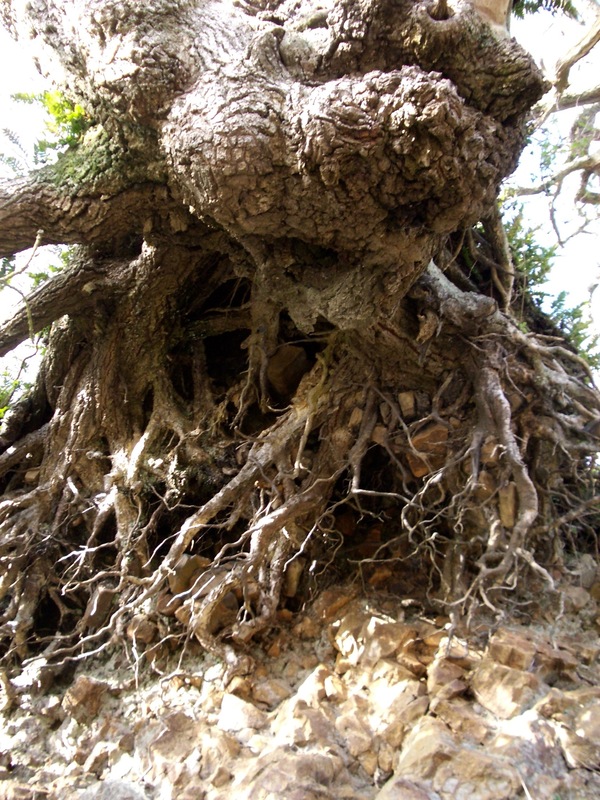 Trees are very adaptable, they can’t run away so they need to deal with whatever hits them. Last we talked about bare roots how much better they are above pot grown. Well how about this for bare roots. You find this at the edge of the Cleddau River in Pembrokeshire, Wales. The tidal river wash away slowly but certainly the soil leaving the roots bare. The water is brackish, not making it easier for the tree to cope. Yet, instead of giving up, the trees create with the elements an amazing sculpture and keep on growing on. This growing force of trees can be used to create art and many do. 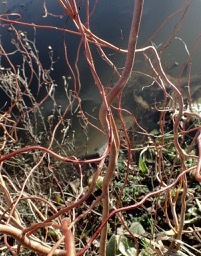 We only have to look at Japanese Niwaki, garden trees and or shrubs are pruned in amazing shapes. When a horse nibble on a tree is has no intention to shape the tree, but the effect on the tree is the same as Niwaki. In the west we also know some great examples of tree pruning in living sculptures. David Nash created an Ash Dome as a piece of Land Art in his own private back garden in Wales, sadly the trees are now fighting against a fungus and loosing the battle. Still a sculpture made by man and tree will remain. 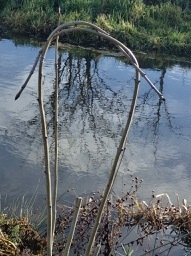 Whenever you find a self seeded Ash in your garden, think sculpture. Ash seed like mad their seeds travel on the wind in search for some bare ground. They grow fast and are very adaptable. On the plot at Clegyr Boia they adapted in great strength against the constant wind. How longer they were on the land the later they came out of their winter buds to protect their leaves from the wind. Weet je het kan gewoon die zogenaamde onkruid bomen in de achter tuin ja nee echt die kunnen gewoon een kunstwerkje worden. Het leuke van tuinieren is dat alles kan dankzij de kracht van de natuur. Bomen passen zich aan en discrimineren niet. Het maakt allemaal niets uit of een paard nu honger heeft of een mens in een kunstzinnige bui, de boom groeit. Garden artists use the adaptability of trees to their own advantage or taste, making them grow in different shapes and angels. You will not find a circle of Ash like the Ash Dome in nature but you will find funny shaped Ash. 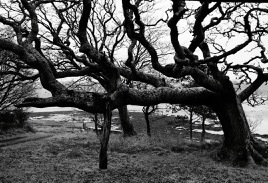 Land Art Bos will have many bended and twisted trees and them trees who are naturally a bit more twisted and curled. 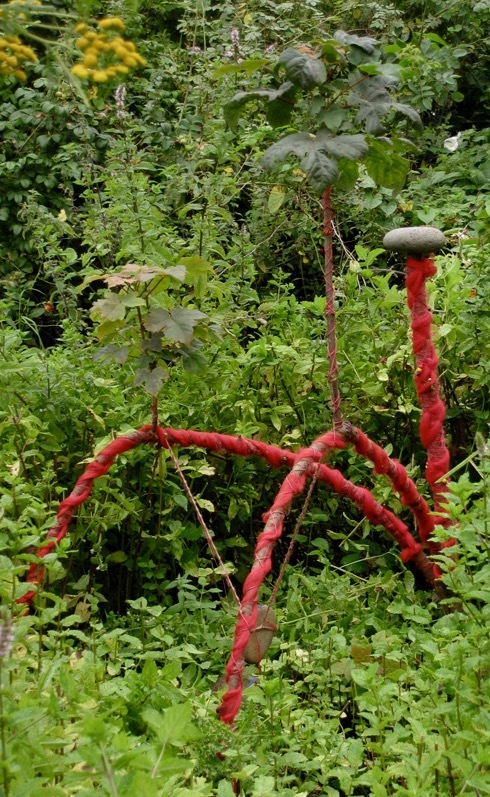 This entry was posted in Land Art Forest and tagged bomen, bomen kunst, Land Art Bos, Land Art Forest, living sculpture, sculpture, tree art, trees by roos. Bookmark the permalink.